My interest in Michael Porter’s work goes way back to when I was still at the start of my career in finance. I had a manager/mentor - Pedro - who was a former McKinsey consultant and introduced me to Porter’s Five Forces model. It’s elegance and simplicity really hooked me. I could basically apply the model to any company, and the insights were always very interesting and relevant. Porter deals with competition, and how it affects industry  and company-level profitability. He says that “competition in an industry continually works to drive down the rate of return on invested capital toward the competitive floor rate of return, or the return that would be earned by the economists’ ‘perfectly competitive’ industry”. If a market has tough dynamics - or, we could say, if the five forces are particularly strong in that market -, its companies may have a more difficult going, and thus lower potential profitability. Of course, no two companies are the same. Even though the market constraints individual company profitability, there can still be large swings based on how the five forces affect each of the companies individually. It helps to make an analogy with biotypes and competitive athletics: a short person may probably never take Usain Bolt’s gold medal on the 100 meters, but can still run much faster than other short opponents and to a very high level. Even though Porter introduces the Five Forces model in a chapter of Competitive Strategy called The Structural Analysis of Industries (highlight mine), an industry - as a conceptual model - can only be affected to the extent that its member companies are affected by the forces. A few weeks ago, I was talking to a good friend of mine, and we ended up discussing if Porter’s theories are still valid today. He argued that we’re living in a time of exponential companies, platforms and innovations - disruptive or not - and that maybe Porter wasn’t that relevant anymore. I was left thinking. The first step was to open my old copy of Competitive Strategy and reread some key parts. The first few chapters don’t stop to amaze me. After munching over the Five Forces for a few days, and leaving it on my mind’s subconscious back burner, I came to the conclusion that they are relevant than ever, and drew on a few examples to illustrate my point. Even though this is not meant to be a primer on Porter, I’ll take a stab at a refresher for those of you who don’t know his competition work or who haven’t read him in a while. The threat of new entrants deals with how easily an outsider can join an existing market and compete effectively. This caps profit potential because any outsized returns that may be produced inside a market are going to be “competed away” if it’s easy for outside players - new entrants - to enter that given market. The threat of substitutes deals with how easily a market’s customers can switch from its products to substitutes - products and services that “do the same job” - and still get a reasonably comparable performance. Porter says that “all firms in an industry are competing, in a broad sense, with industries producing substitute products ”, and that “substitute products limit the potential returns of an industry by placing a ceiling on the prices firms in the industry can charge”. Basically, what he says is that markets compete with other markets for a share of customers’ wallets. If Amazon one day starts selling all its merchandise at a 4x markup it’s fair to assume some of its customers will go back to buying their stuff at Walmart. (These are very close substitutes, and one could argue that e-tailers and walplexes are participants in the same market. So another example may be useful.) And if one day shampoo becomes a rare product that costs a thousand dollars a bottle, it’s more than reasonable to think that most of us will start washing our hair with regular soap. The more bargaining power companies have in their relations with suppliers, the bigger is their profit potential. The less bargaining power, the less profit potential. This section is a mirror of the last one. Just take your analysis a notch downstream. Internal competition - what we know as plain competition - is another key threat to the profitability of companies and markets. As you may have realized, some markets are inherently more competitive than others. But the strength of competition is not a random variable: it can be derived from a number of factors. If a market is composed of many companies with no clear leaders among them, rivalry will tend to be more intense and uncoordinated. If a market grows slowly, rivalry will also tend to be more intense, because competition turns into a market-share robbing game. If it grows fast, just keeping up with market growth is itself a challenge. If a business has high fixed costs, it will also tend to be more competitive, since firms may get into a prisoner’s dilemma of price cuts so as not to fall behind covering fixed overhead. A similar logic occurs with high installed capacity. Porter’s more eloquent than me: “high fixed costs create strong pressures for all firms to fill capacity which often lead to rapidly escalating price cutting when excess capacity is present”. Now that we’ve covered the basics, let’s discuss a number of examples that illustrate how relevant Porter’s theory still is today. Platforms - Airbnb, Uber, Ebay, etc - are online marketplaces where suppliers of goods and services meet their buyers. These companies have been an enormous success and drawn a lot of attention because of the massiveness of their operations. Airbnb, for one, allegedly has more rooms available for rent in its site than Marriott has in its properties. Uber, another hit, has become an ubiquitous term for people looking for a ride, and displaced so much of the traditional taxi market as to cause riots, strikes and political debacles. Do platforms make Porter’s Five Forces model obsolete in any way ? My take is hardly, if at all. Bill Gurley, one of the world’s most famous venture capitalists, once published a framework to analyze marketplaces when he announced his firm’s investment in one, called Dogvacay. Some of Gurley’s criteria for finding great marketplace investments are immediately relatable to the Five Forces: “Economic advantage vs status quo” and “fragmentation of suppliers”, for example, relate closely to Porter’s bargaining power of suppliers. If we think about it, Uber’s success may be very closely correlated to its suppliers - drivers - utter lack of bargaining power with Uber. Driving for Uber is frequently an alternative to joblessness, and that makes them much more devoted to the platform; it makes them comply with its policies and procedures. And those form a big part of what makes using Uber a better experience that using a cab. “Network effects”, on the other hand, relate closely to Porter’s threat of new entrants (which are inversely correlated with the existence of strong barriers to entry). The larger the network effects - the fact that a platform becomes exponentially more attractive to suppliers and customers the more suppliers and customers operate in it - the larger the barrier to entry. The larger the barrier to entry, the lower the threat of new entrants, and the larger the profit potential of the platform. Uber, to reuse the last example, disregarded what was considered as a huge barrier to entry - government’s tight regulatory grip on taxi transportation - to become itself a new entrant into the “professional-ride” market. So what was regarded as an impenetrable barrier was annihilated by technology (and a heavy dose of boldness and legal recklessness). Now that the market is well established, Uber’s facing the threat of hightened internal rivalry as competitors quickly build alternative networks by leveraging drivers’ low bargaining power with it. Cabify, a spanish competitor, is moving aggressively into emerging markets by offering huge pricing discounts - the most unhealthy type of competition, by the way -. Lyft, on the other hand, is trying to win over customers from Uber by offering a different sort of experience, supposedly more humane, and facing its consequences. The point here? Porter’s Five Forces model is extremely relevant to understand the success - or lack thereof - of platforms. Startups grow by either providing radically new substitutes to existing products and services (the most frequent case), or by rapidly robbing market share by providing close substitutes whose existence was previously not possible. Google, for example, displaced money from many markets by offering a radical new substitute to old-media advertising. It took large companies’ budgets away from magazines, newspapers, TV channels and billboards, just to name a few losers. It took small companies’ budgets away from the Yellow Pages and handed leaflets. Amazon offered a reasonably close substitute to physical retail (e-commerce) and robbed significant market share from existing retailers like Walmart in the process. Amazon represents a new type of threat from substitutes that’s hardly predictable by incumbent companies, made possible by the wake of the internet, that changed the dynamics of retail’s Five Forces model, especially its threat of substitutes and new entrants (in the form of lower barriers to entry - real estate presence is not a necessity anymore, and e-tailers can have significant cost advantages because of its absence). Silicon Valley, thus, thrives exactly by being a major competitive force in many existing markets , channeling its strength as technologically-enabled substitutes or new entrants that were previously not possible. I hope I convinced you that Porter’s work is still very relevant these days. I tried to prove my point by saying that platforms, or marketplaces, can be analyzed through the Five Forces model. I’ve also tried to place startups within the Five Forces model, by categorizing them as either substitutes or new entrants to existing markets. 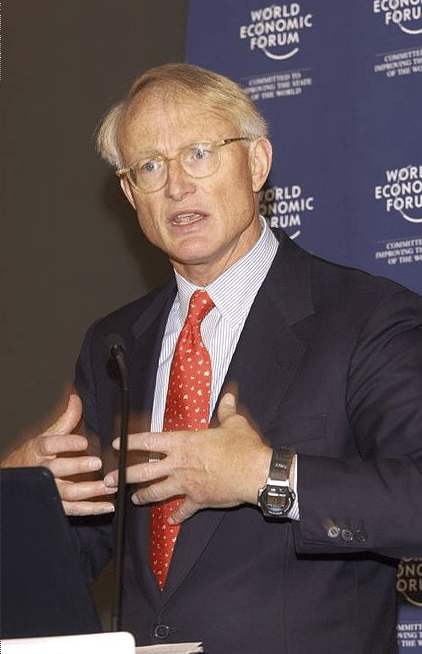 I am very sure learning more about Michael Porter’s competition theories can be of great help to entrepreneurs, investors and businessmen of any kind. Porter uses the terms “industry” to define what we know as a “market”. So I will use “industry” and “market” interchangeably. Which products pertain to a market and which may be considered substitutes is a tricky question. Porter defines a market as “a group of firms producing products that are close substitute for each other”. The challenge is just getting how close substitutability has to be to be enough to define a market. It’s fair to think that a marketplace has suppliers and customers. Airbnb’s hosts are the suppliers on its marketplace. Guests are customers. So we can safely apply Porter’s Five Forces model to platforms using these guidelines. Silicon Valley - as a way to refer in broadband to startups, radical innovations etc - not only works by robbing market share from incumbents, as was the case with Amazon. It frequently creates new markets or expands existing ones, generating less displacement for incumbents in those markets . On the other hand , it’s also safe to say that since the world is a low growth “economy”, Silicon Valley’s new, high growth markets must be robbing meta-market share (my term for the market share a market has in the larger economy) from other markets, since the size of the pie doesn’t grow a lot. Yes, that was a footnote within a footnote. And this is a footnote explaining the footnote within a footnote. Talk about recursion.